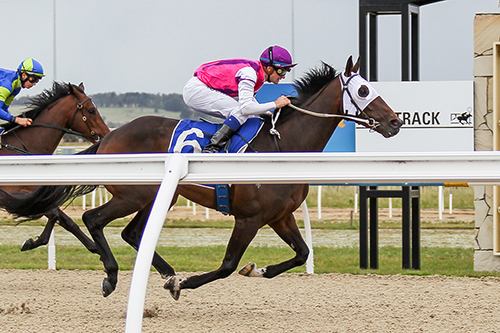 SEBEAT BREAKS THROUGH IN SOLID FASHION AT PAKENHAM. 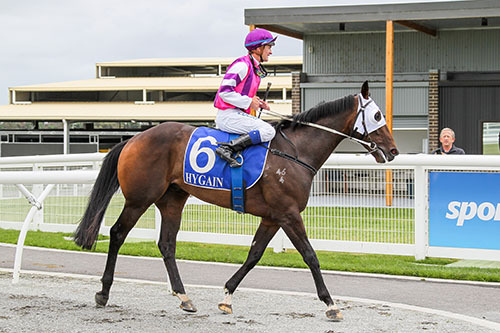 Lightly raced 3YO Sebeat broke through in strong fashion at Pakenham on Sunday 3rd December in what was only his 4th career start and in time will be a nice progressive stayer for all of his owners. I say “in time” because Sebeat, whilst he is a sound clean winded type has been an immature individual obviously due to him being a stayer and patience is still required. He is still very much learning his craft and will be well suited to the distance racing and most likely the wet tracks that hopefully prevail in the Winter of next year. Ridden a treat by experienced rider Jason Benbow, who had the 3YO positioned beautifully throughout in the one out one back position, Jason took off just prior to the turn in an effort to make ground and whilst it took Sebeat some distance to wind up (such is his dour nature) and get to the Shea Eden trained and favourite The Auditor, he did so and ran away to win by just on 2 lengths on the line. Whilst there are no grand plans for Sebeat, Mick will be able to train on with him and most likely extend out in trip next start given that he is a very good advertisement for the sound Sebring breed. A lovely pedigree (being related to GROUP 1 Winner Aloha and descending from the brilliant Tennessee Family) and an improving individual, there is genuine optimism given time that Sebeat will be bringing a lot more fun to the table for his terrific group of Syndicate owners!